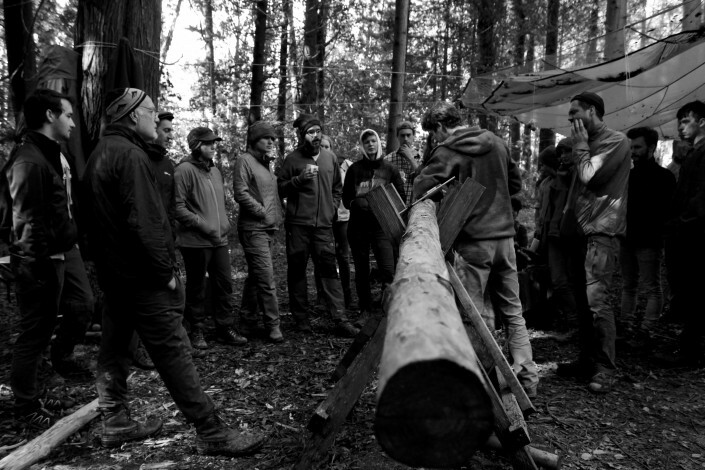 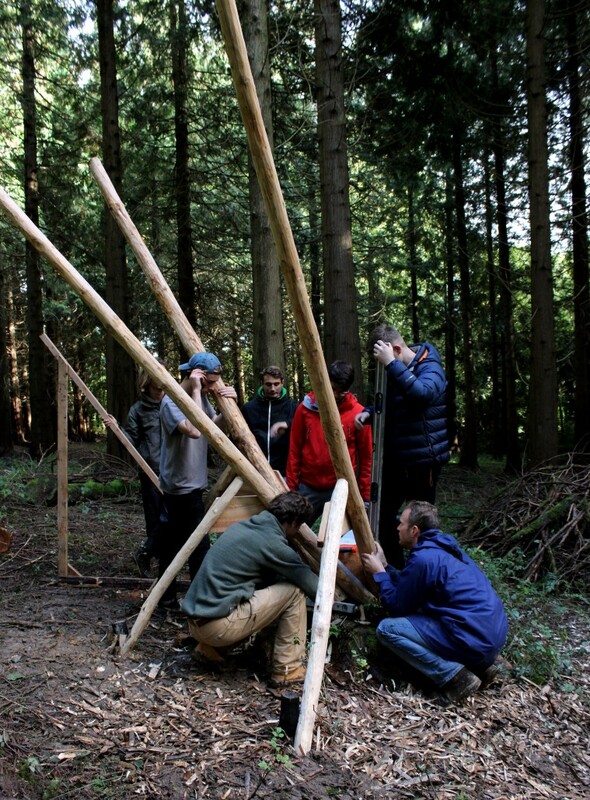 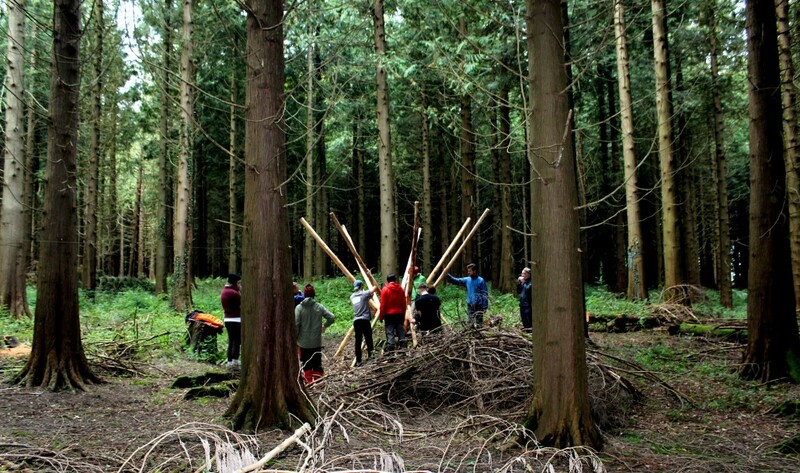 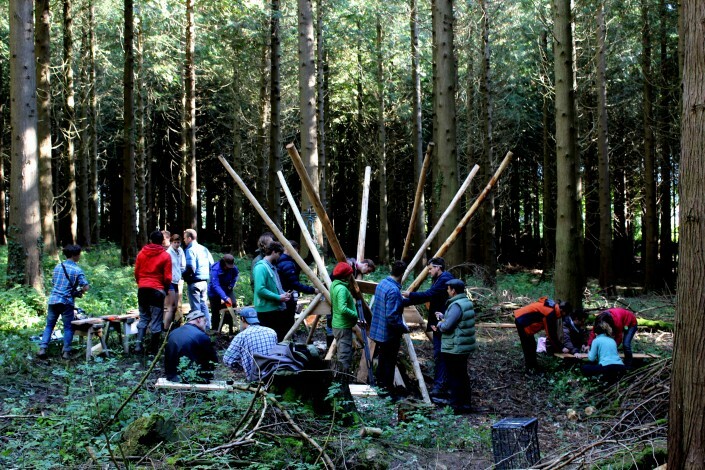 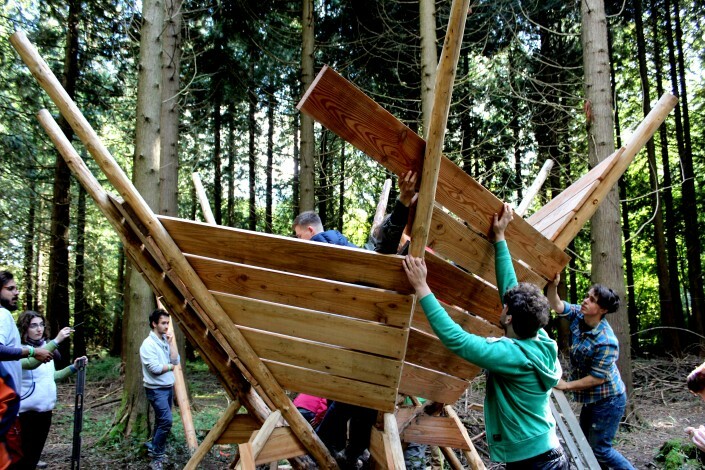 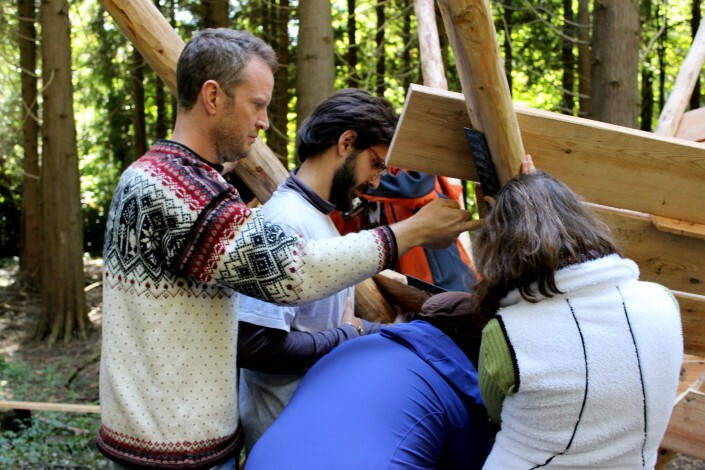 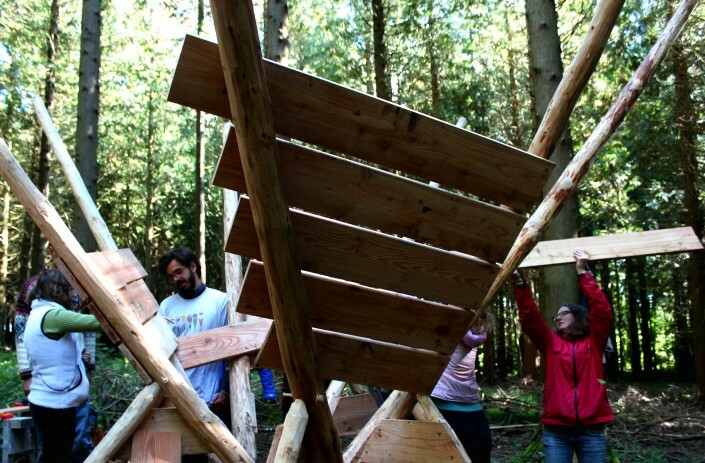 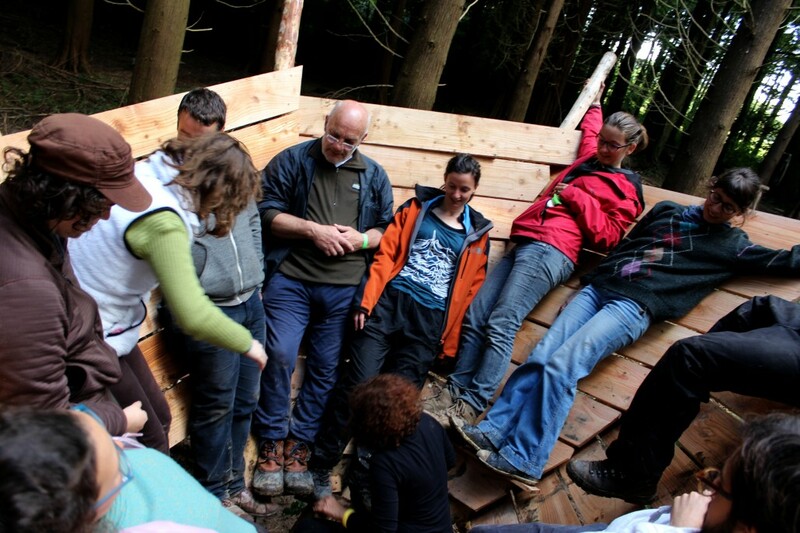 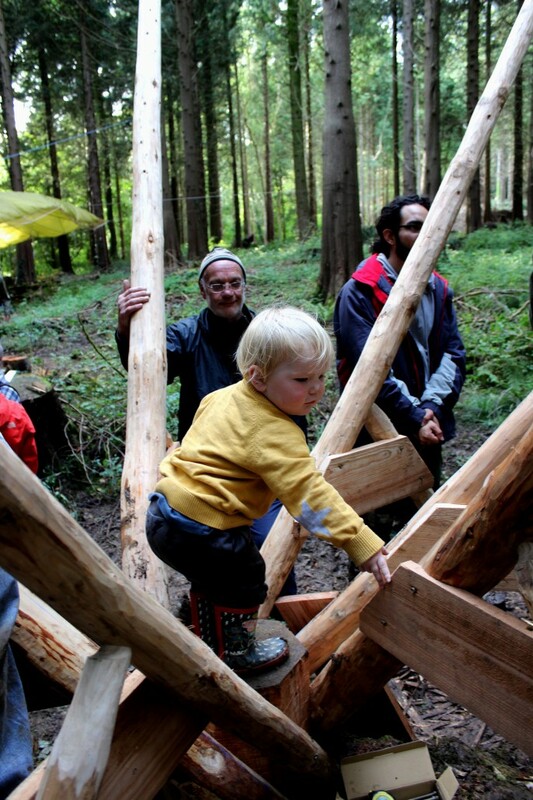 I ran a course with 10 students from Schumacher College and 10 architecture students from Plymouth University to build a timber star-gazing structure. Working with master carpenter Ambrose Vevers we constructed the bowl-like seat in the course of 2 days using Douglas Fir timber grown on the Dartington Estate. 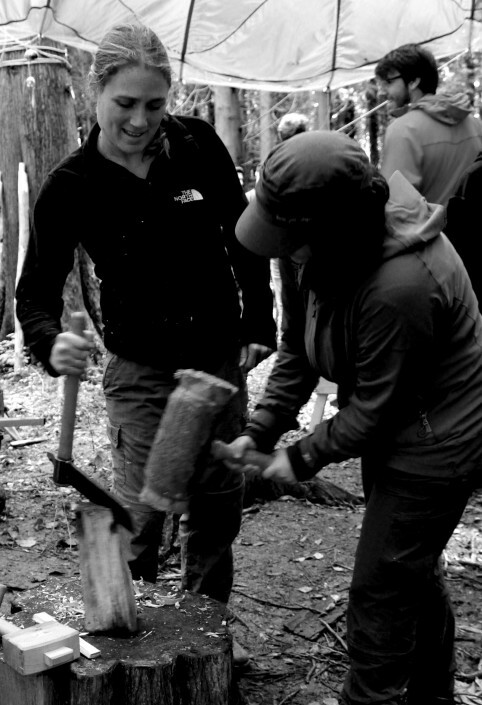 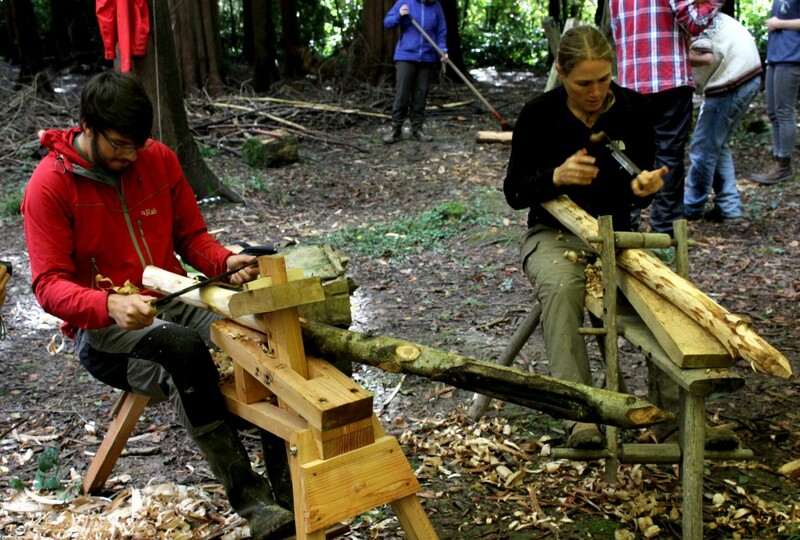 We showed participants how to de-bark the wood and how to make mortice and tenon joints using oak pegs. 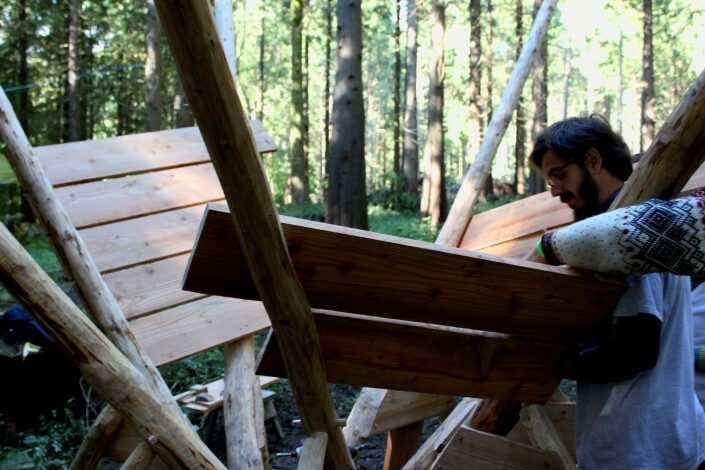 It was a joy to work in such beautiful surroundings and to work with traditional craft techniques to make a unique and playful space. 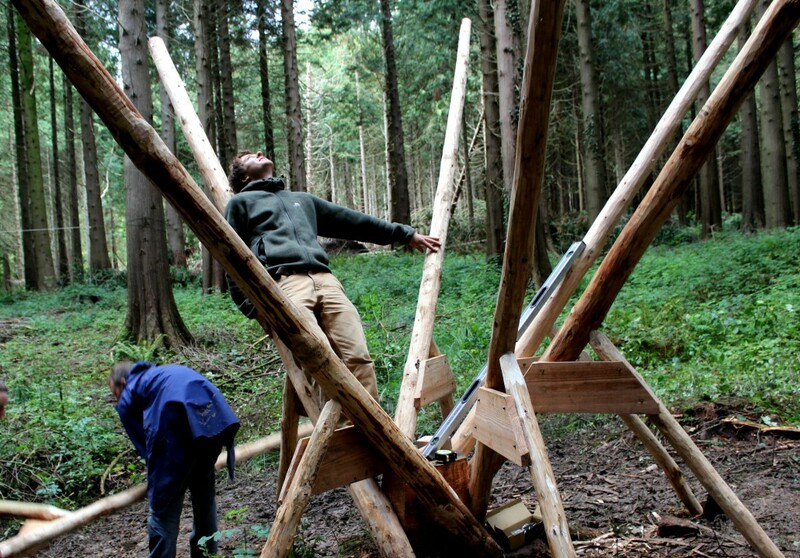 The seat is permanently installed in the woods at Dartington and can accommodate up to ten people,so that passers-by can enjoy looking up at the sky in comfort, both day and night. 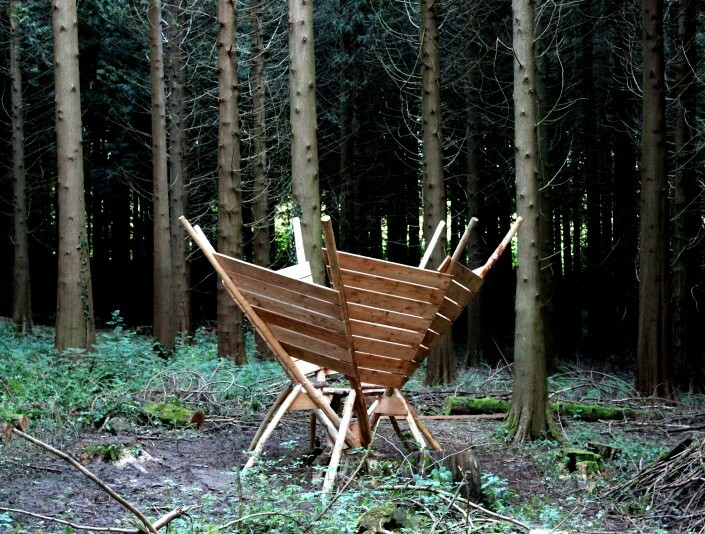 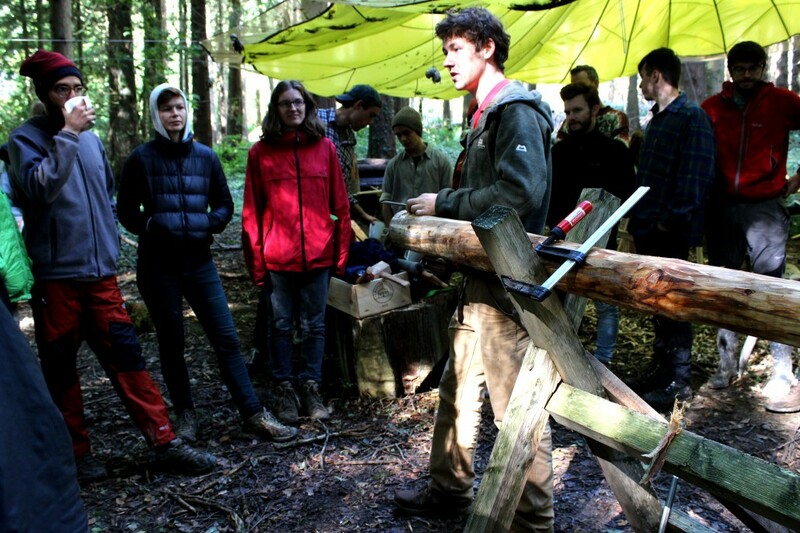 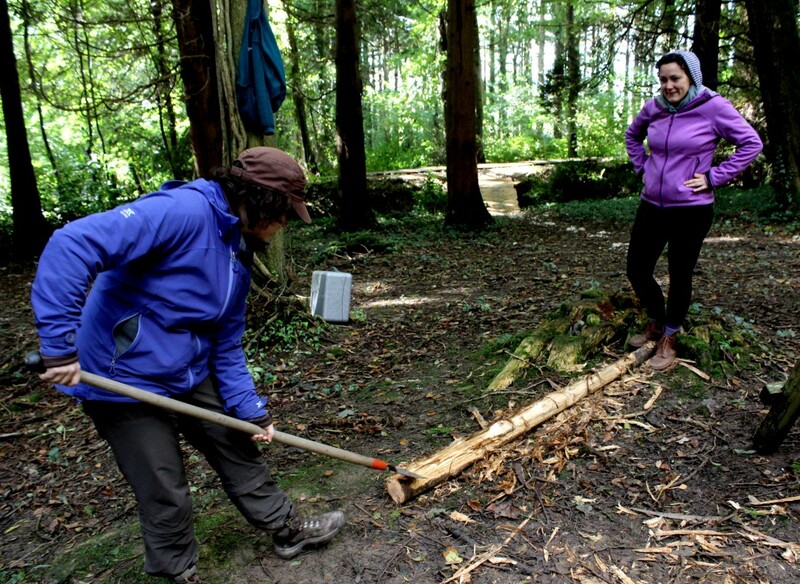 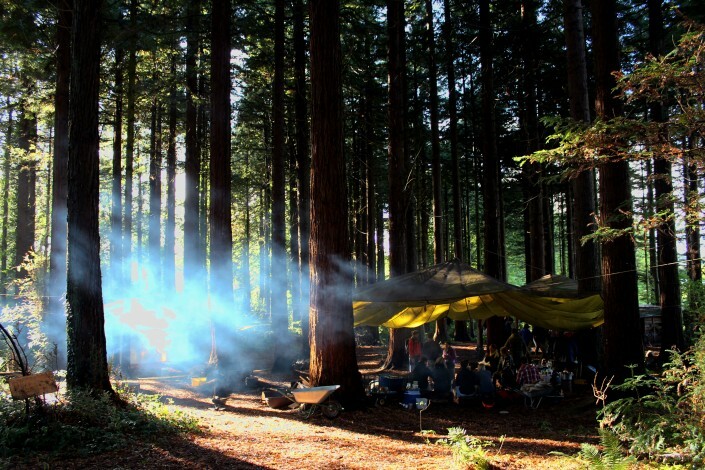 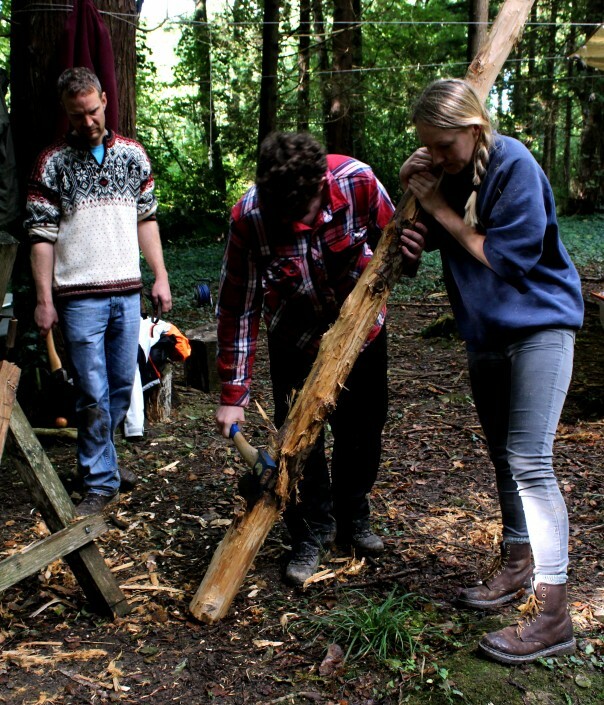 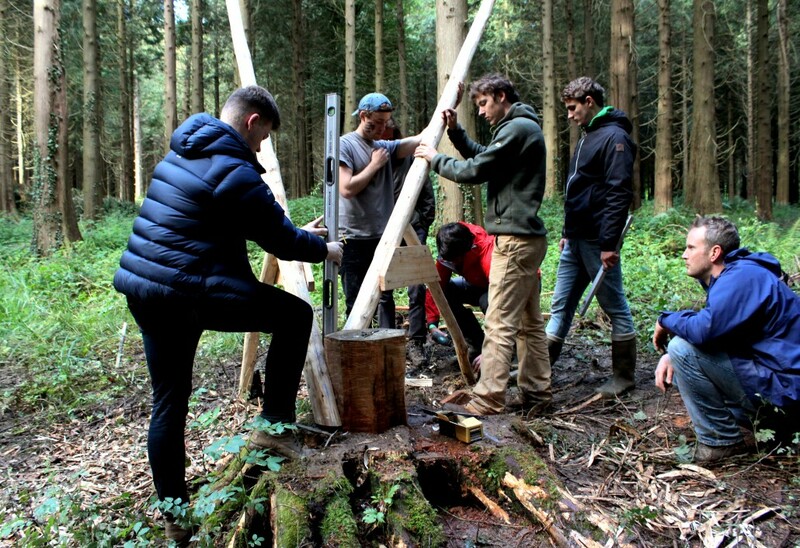 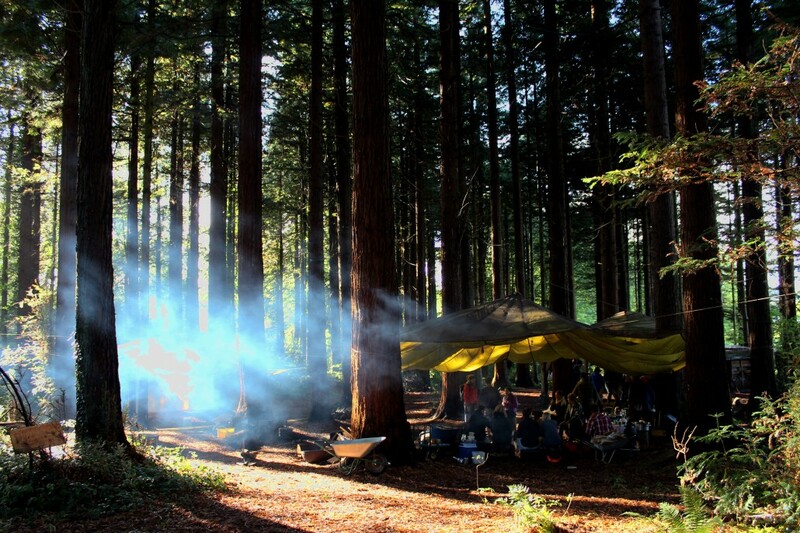 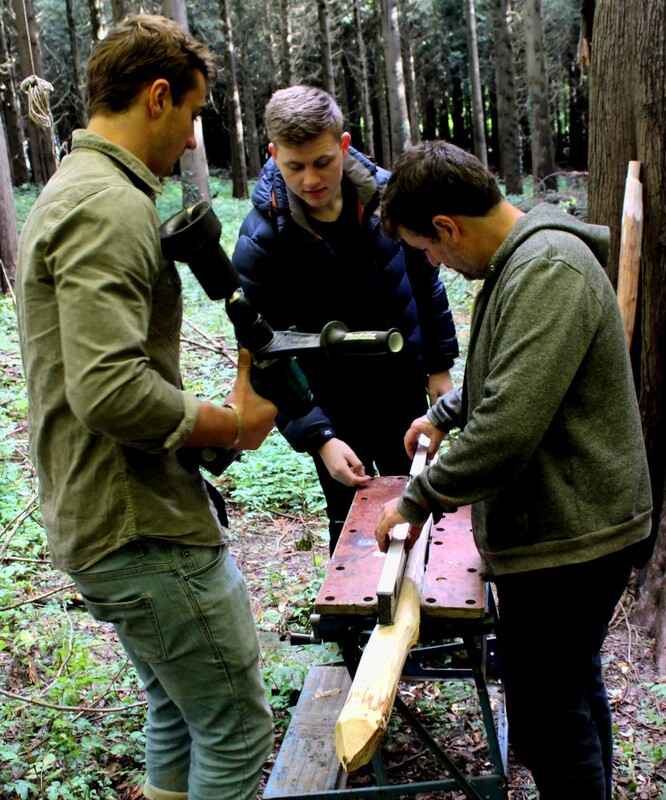 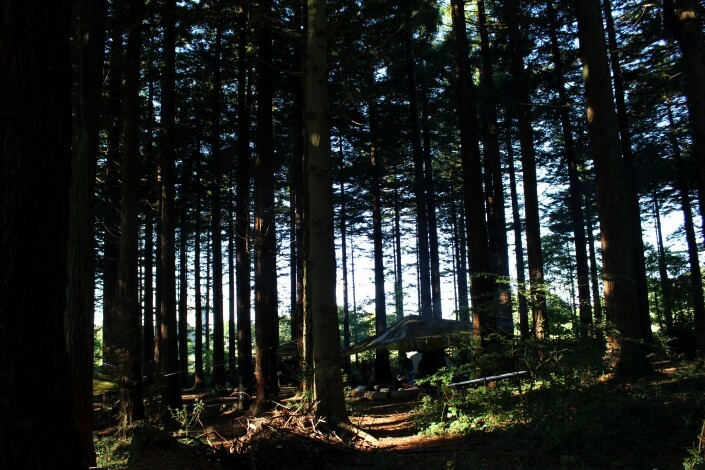 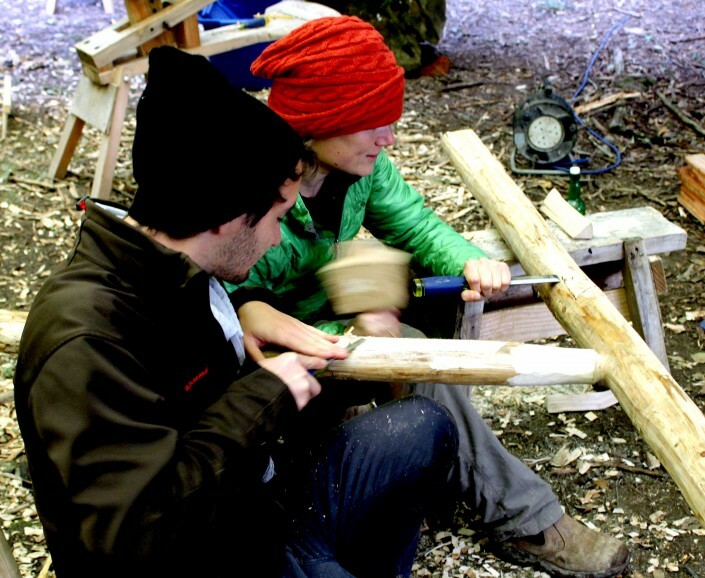 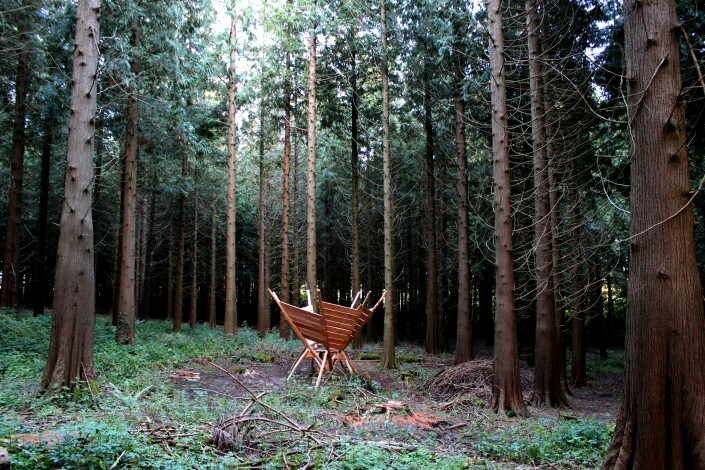 Make:Camp was part of the Craft Revolution, a series of courses held at Dartington College.